We are now deep in the encounter, and already seeing just how interesting Pluto and Charon promise to be. There's only one Pluto flyby planned in all of history, and it's happening next month! 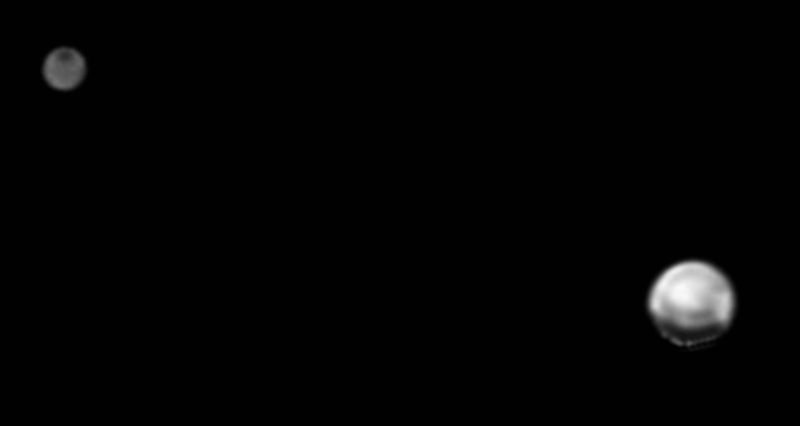 Pluto and Charon as seen by the New Horizons Long Range Reconnaissance Imager (LORRI) on June 19, 2015, from about 20 million miles. North is up in this image. Pluto is displaying a widely varied range of surface markings and Charon is showing a surprising, unexpected dark spot at its north pole that New Horizons discovered in June. New Horizons is healthy and has so far been conducting a textbook approach—all systems are 'Go' for the flyby! The mission team is very, very busy now, simultaneously planning and testing the last stages of flyby instructions for the spacecraft, analyzing daily data downlinks, navigating the spacecraft to its precise aim point near Pluto, and searching for possible hazards in the Pluto system — though, so far, the coast is clear. As to mission navigation, we performed a successful engine maneuver on June 14, and there is a good chance we'll do another small trim maneuver on July 1 to line up for the best possible Pluto science at closest approach on July 14. Stay tuned for more on that engine burn possibility. One of my fondest hopes for the flyby, apart from the great science we'll do, is that we'll excite a lot of people about the power of exploration, the sheer audacity of our species and the great things we can achieve. And it's working — the exciting and historic nature of New Horizons is catching on! We can see that in everything from its cameo in "Big Bang Theory" to its appearance on the covers of magazines as diverse as Astronomy, Sky and Telescope, New Scientist, Nature and National Geographic. We also see it in editorials, cartoons, and the four planned TV specials about New Horizons by PBS/Nova, Discovery Channel, National Geographic Channel and NHK (Japan). We also see it in the form of the approximately 200 press that have registered (so far) to cover the flyby at APL in mid-July. You can help build the buzz and will make New Horizons impact even more people. How? Tell your friends and neighbors, tell your family, talk about it at work, post about it with your favorite social media, and call up your local newspaper and TV stations and tell them you want to see coverage. The National Space Society, working with digital film producer Eric Wernquist, has produced this gorgeous and stirring tribute video to the New Horizons flyby of the Pluto system and the epic 50-year relay we're running anchor leg on to complete the first reconnaissance of all the planets. It's gone viral with more than 1 million views in under 10 days. Watch it here. Share this with friends! 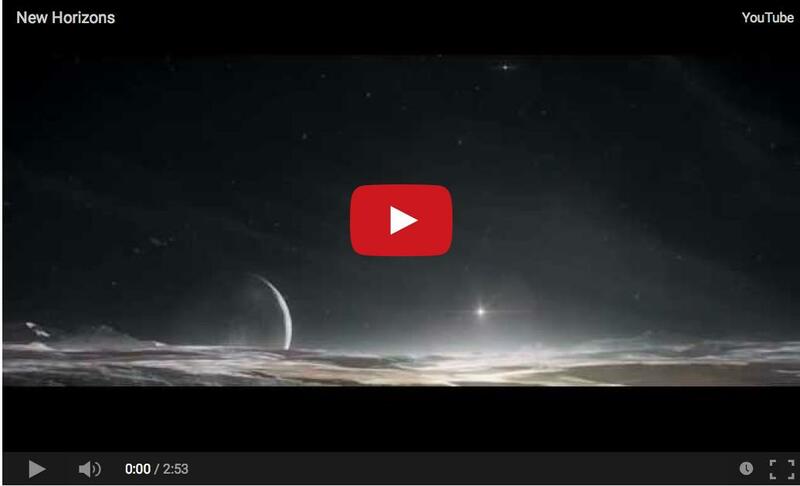 As one article put it, "Warning: This Awesome Video about Pluto Might Make You Cry." 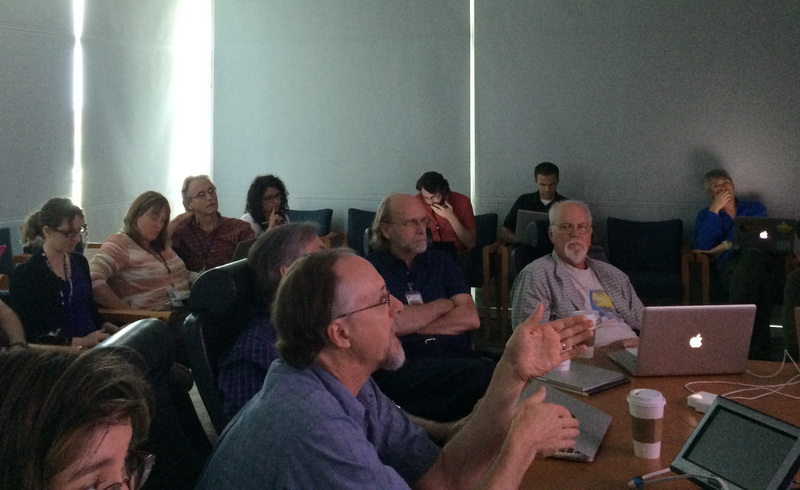 Daily science team meetings to discuss new results are already taking place at APL, where the New Horizons mission is operated. About one-third of the science team is now in residence at APL; by July 1 that will rise to two-thirds, and by July 6 we'll be at full strength. New Horizons is rapidly approaching its date with destiny, our moment of truth in a one-shot, must-work flyby of Pluto and its system of moons on Tuesday, July 14. Over 2,500 Americans worked to design, build, launch and fly New Horizons. The major partners of that NASA-industry-academia team include the Johns Hopkins Applied Physics Laboratory, the Southwest Research Institute, Ball Aerospace, Boeing, Lockheed Martin, United Launch Alliance, Aerojet Rocketdyne and NASA Jet Propulsion Laboratory, but dozens of universities and small companies were also involved. New Horizons is truly an American-made product to be proud of. The people who created this capstone mission to complete the first reconnaissance of the planets are very proud, and ready to deliver on the promise we made in 2001 to explore the Pluto system. They have invested 15 years of their careers and lives to do this, to create new knowledge, to show the United States on its game, to inspire kids and adults alike — across the world – and to make you proud. If you know anyone on the New Horizons team, please join me in saying two words to them before the flyby: "Thank you." That's it for now, I'll write again soon. Until then, I hope you'll keep exploring — just as we do!